Since the early 90’s, Damon Albarn has remained one of the top creative minds on the music scene. His contributions have included Britpop (Blur), pop/hip hop (Gorillaz), Chinese opera (Monkey: Journey to the West), and much more. 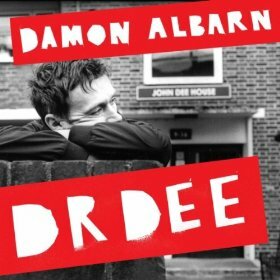 Once more, Albarn has demonstrated his flexibility by composing an opera based on the life of John Dee, an advisor to Queen Elizabeth I and one of the great minds of the 16th century. Even without understanding the background of the play, listeners can enjoy Dr. Dee as a creative feat. Albarn has been able to fuse his lyrical skill with Elizabethan instrumentation, though there are also elements of Far East woodwinds, African rhythms, and epic operatic arrangements. It shouldn’t work, but Albarn’s prowess makes this album flow masterfully. “Apple Carts,” for example, takes advantage of the upper range of Albarn’s voice and could belong on a folk record as much as in a play. “The Marvelous Dream” has the middle class flavor that permeates Blur’s music while “A Prayer” sounds like it belongs in a church setting as much as anything else. Dr. Dee is as thoughtful as its subject and requires a bit of effort to delve beneath the layers of each song, connecting the narrative threads. However, this is a thrilling album, from the contributions of the BBC Philharmonic Orchestra to the signs that Albarn’s horizons will be forever expanding into the past and towards the future.